With roots in royalty, Ultra Violet (Pantone 18-3838) , Pantone’s Color of the Year for 2018 “communicates originality, ingenuity and visionary thinking,” said Leatrice Eisman, executive director of the Pantone Color Institute in an interview with the New York Times. 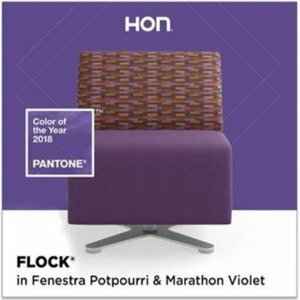 Prior to Pantone’s December 7 announcement, All Makes’ on-trend sales team and manufacturers’ reps began seeing splashes of purple in office furniture. 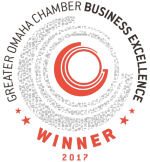 Interior Design Magazine recently awarded Allsteel’s Retreat collection “Best of Year” for 2017 in the Seating – Contract/Guest. “Allsteel continues to monitor and stay abreast of market trends and these new offerings reflect our research,” Shareef said. 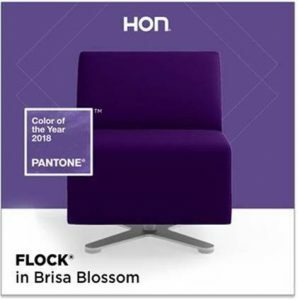 HON, another main furniture line at All Makes, is responding to these recent color trends, as well. 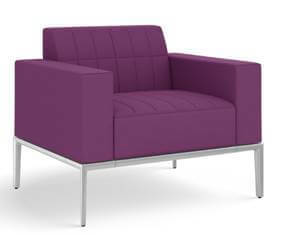 HON introduced Iris into the Centurion seating family in July 2017. 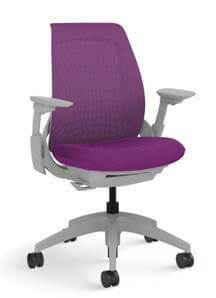 So, where are furniture designers using this vibrant color? To read more about how Ultra Violet will affect the fashion, graphics design, packaging and more, click here.